CIUDAD OBREGON, Mexico (March 22, 2016)- In early outcomes, partners in the International Wheat Yield Partnership (IWYP) are finding evidence that increased photosynthesis, through high biomass, improvements in photosynthetic efficiency, and improved plant architecture, can help make wheat more productive, as the Partnership progresses toward meeting its aim of raising the crop’s genetic yield potential by up to 50% over the next 20 years. This and other work, and particularly partners’ roles and operating arrangements, were considered at the first official annual IWYP Program Conference. This was held at the Norman E. Borlaug Experiment Station near Ciudad Obregón, Mexico, 8-10 March 2016, following the funding and commencement of the Partnership’s first eight projects, according to Jeff Gwyn, IWYP Program Director. “The aim of the conference was for participants to learn about everyone else’s work and to integrate efforts to realize synergies and added value,” said Gwyn, noting that some 35 specialists from nearly 20 public and private organizations of the Americas, Europe, Oceania, and South Asia took part. 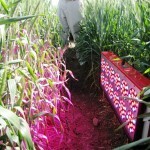 IWYP was launched in 2014 by UK’s Biotechnology and Biological Sciences Research Council (BBSRC), the International Maize and Wheat Improvement Center (CIMMYT), Mexico’s Secretariat of Agriculture, Livestock, Rural Development, Fisheries and Food (SAGARPA), and the United States Agency for International Development (USAID). Its launch was in response to the urgent need to boost world wheat output by between 30 and 60 percent to meet expanding global demand for wheat-based foods by mid-century — particularly in developing countries, whose populations are rapidly rising and urbanizing. Involving research teams from Argentina, Australia, India, Mexico, Spain, the United Kingdom, the first IWYP projects were chosen from research proposals submitted in 2015. They are on track to find and use traits and genes that enhance photosynthesis and increase its efficiency, boost spike development, optimize wheat’s canopy architecture, and increase wheat’s biomass and harvest index—that is, the ratio of grain to other plant parts. Gwyn said that IWYP has partnered with CIMMYT to lead the IWYP development platform (IWYP Hub), designed to deliver research findings and outputs to breeding programs worldwide as quickly as possible, and that public-private partnerships are a key feature of the IWYP Program. Wheat provides approximately 20 percent of humanity’s protein and calories. The rate of yearly genetic gain for yield has slowed in recent decades to less than 1 percent, according to Hans Braun, director of CIMMYT’s global wheat program. “To avoid grain shortages and price hikes that most sorely hurt poor consumers, who spend a large portion of their income just to eat each day, we need to achieve an annual yield growth rate of at least 1.7 percent,” said Braun. IWYP research outputs are building on and will amplify physiological breeding approaches, according to Matthew Reynolds, CIMMYT wheat physiologist. 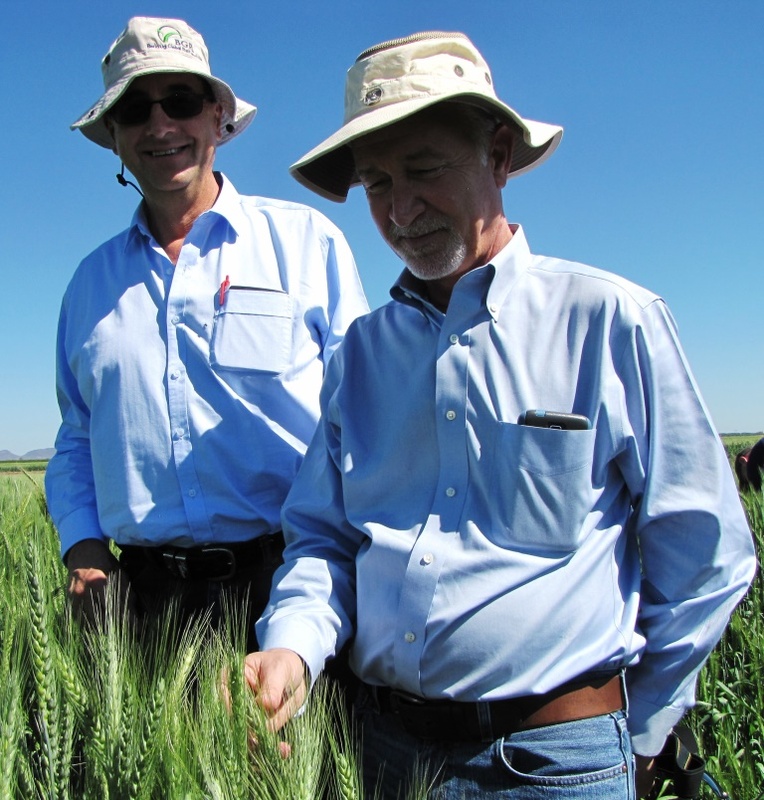 “We’ve implemented these approaches recently in our wheat breeding programs and results from international trials already show a boost in genetic yield gains,” he said. A long-term, global collaboration, IWYP brings together funding from public and private research organizations of many countries. Currently, this includes Agriculture and Agri-Food Canada (AAFC), BBSRC, CIMMYT, the Department of Biotechnology of India (DBT), the Grains Research and Development Corporation of Australia (GRDC), the Institut National de la Recherche Agronomique of France (INRA), SAGARPA, the Syngenta Foundation for Sustainable Agriculture (SFSA), the United States Department of Agriculture (USDA), and USAID. Over the first five years, the growing list of partners aims to invest up to US $100 million. Further details can be found at https://iwyp.org.